Having posted about cats, owls, hawks and wolves, it’s about time I devoted some lines to their nocturnal prey. You’ve probably already read my blog about Willow’s hamster Mr Nibbles, but mice also feature in Willow the Vampire and the Sacred Grove and will continue to make an appearance in the follow up novel. Mouse-like rodents are a relative newcomer on the evolutionary front, being only a few million years old. Collectively most of them are referred to as the Muridae family with various sub-families. Mouse-like rodents now inhabit most parts of the world – obviously not our oceans, but I wouldn’t be surprised if one day some deep-sea diver discovers a mouse with gills! 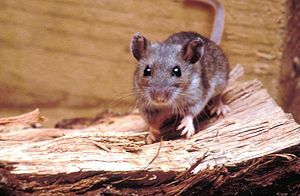 While the majority of mice live their lives as tiny, nocturnal, seed-munching ground-dwellers with a pointy nose, long whiskers and tail, others live near water or even in it, in trees or in underground tunnels. Scientists have identified more than 500 species of Old World mice and rats, from the little pests known as house mice and brown rats to adorable and endangered dormice, which go into winter hibernation and can snooze for up to 9 months of the year. 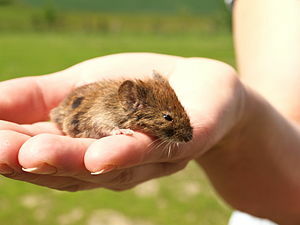 In the New World mice and rats can range from fish-eating to climbing rats, although the majority of rodents live on the ground, such as grassland or forest habitats. Rats and mice make up around 80% of the species collectively known as the Muridae family. Lemmings, hamsters, voles and gerbils are a very distinct sub-family. Hamsters in the wild are quite fearless and aggressive creatures, ready to defend their solitary habitat with all they’ve got. Just the names of many mice are apt to make us go “aaaaaawwww”: there’s Dormouse with her bushy tail, the red-brown coloured Deer mouse, or the Bank vole reminding us of Ratty in Wind in the Willows by Kenneth Grahame, published 1908. There’s also the cute Harvest mouse clinging on to tall grass with her paws and tail, the striped grass mouse in her harsh savannah habitat, the delightful Cairo spiny mouse with her big button eyes or the Wood mouse with her large ears or the miniscule Gray climbing mouse with her very exceptionally long tail, which she wraps around tall grasses to get purchase when she feeds. One of my favourite rodent names is the “Meadow jumping mouse”, a little creature that moves in short hops, but can, when pushed, jump up to one meter into the air. Another favourite is the Fawn hopping mouse (I feel a theme emerging! ), a nocturnal burrower with enormous feet (compared to the rest of its body) and a long tail to balance it in mid-hop, when it darts away from danger. Their lives may be harsh and short, but whenever I’ve watched voles on a river bank or wood mice in a forest, I’ve often thought how much humans have in common with these little creatures. We also lead relatively short lives and tend to live it at break-neck speed to cram in as much adventure as possible. NB : The Mouse that roared (1959, directed by Jack Arnold) is a delightful comedy featuring Peter Sellers, Jean Seberg and none other than William Hartnell (a later Dr. Who incarnation).